Make sure that your data is quickly recoverable fast. Data loss is one of the biggest threats to your company. 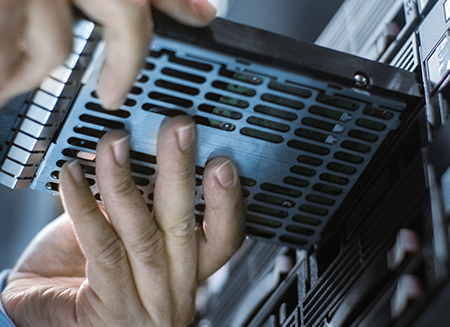 Theft, hurricanes, flood, malware, or even a server crash could put your business's most important asset at risk. So why leave your company's lifeblood vulnerable? With our data recovery and protection services, we utilize only the safest backup method and the industry's best practices. Our disk-based backup technology provides state-of-the-art continuous protection of your critical data. Add to that our standby server technology, and you get complete peace of mind knowing that your data is safe and sound. • Global Redundancy - Prevent disaster by spreading out your backup to eliminate a single point of failure. • Continuous Data Protection - Upload snapshots of file changes as soon as they are made for fast and easy recovery. • Built-In Retention Policies - Comprehensive and customizable solutions for compliance. • Seeding & Bandwidth Throttling Option - Full-speed backup without slowing down your internet connection. • All-Inclusive Agents - Backup solutions that integrate with your current operating systems and software. • Reporting, Access, & Reliability - Offsite backup with extensive reporting for real insight into security and what's being backed up.